Greg O is an award winning, fully licenced Real Estate professional with a track record for consistently achieving the best possible sales outcomes for his clients. As part of the dynamic Porter Matthews Metro real estate team, Greg O has many years’ hands on experience in the field of residential sales. A true local, having lived and worked in the area for over 18 years, Greg chose to specialise in the vibrant and diverse region of Belmont and its surrounding suburbs and is widely recognised as a local area expert. In fact, he is currently ranked as the Number 1 agent for Belmont on the online industry platform Rate My Agent. 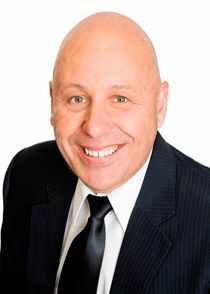 With demonstrated knowledge and experience across a wide range of residential property sales including houses, units, villas, townhouses, apartments, land and subdivision developments, Greg has a depth and breadth of practical know how plus the ability to skilfully negotiate a deal on his clients’ behalf. But perhaps just as importantly, Greg is recognised for his genuine, professional and highly customer focussed approach. The result being that he is a Real Estate Agent of choice within the market and consistently generates a high degree of repeat, recommendation and referral business from his many satisfied clients. As a skilled and emotionally aware communicator, Greg is able to quickly understand his client’s specific circumstances and then competently take them through each stage of the sales process… all the while making sure his clients are kept up to date, informed and feel at ease as the sale progresses. Better still, he generally does this in a short space of time and is then able to manage the details to ensure that nothing falls through the cracks during the settlement period. Which removes much of the stress and confusion out of the sales process and provides the best outcomes into the future. To contact Greg and experience the difference that local area knowledge and professional expertise provide, please feel free to call him on 0417936524, he’d love to hear from you.